I am really greatful for copypowerblog for nominating me for this award. I’m really thankful and I’m happy to know that my posts and my works are appreciated and nominated for an award. Q: Why do you blog? Of course, because you want to. But do you blog as a hobby or to complement a business, or for other reasons ? A: I blog as a hobby. I want to share my art works and my photography with blogger friends as well as others. I just started and with this progress so far I’m happy and I will continue blogging. 2. How long have you been blogging and how has your blog been doing in this time? A: I have been blogging since 4 months (ie. September) and so far my blog is doing great. I didn’t expected this much progress, but luckily I have reached 100 followers and gained lots of love and support from other bloggers and I’m really thankful for this. 3. Do you write for yourself or for your readers? A: I started this blog with the mindset to share my artworks and photography with others. I do write for others. Some of my posts are for others and some are for me. 4. Has blogging changed you or your life in any way? A: Indeed, blogging gave me a platform to share my works and thoughts. It has filled me with positivity and I have learned many things through this. 5. What kind of blogs do you like to read and follow? A: I usually follow blogs regarding art and photography. Along with this I love reading blogs about poetry, quotes and life lessons. I follow blogs of this type. I love reading such topics which also includes philosophy, psychology and life lessons. 6. If you were to write a book this year, what would it be called? (this question doesn’t apply to already published authors)? 9. Share a link to your favourite post/posts. 10. Name a book that has inspired you. A: Steal like an artist by Austin Kleon and Creative Confidence by Tom kelley and David Kelley. 10. How do your family/friends/pets react to your blogging habit? A: My friends and family support me a lot specially my parents. Everyone encourages me and appreciates me and I’m thankful to them and all the blogger friends. Thank you. 11. Do you still see yourself blogging in five years? Q1: How is it like to be a blogger? What are your experiences from blogging? Q2: Which quote inspires you to work hard and achieve your goals/dreams? Q3: What is the reason behind your blog name? What inspired you to start a blog? Q4: Which place you want to visit/again (if you have been there) and which thing you like the most about that place? Q5: How do you manage your work/studies along with blogging? Q6: What do you do when you get stressed/bored? Q7: Your thoughts/opinions about my blog. Any suggestions? Q8: Same as mine. Do you write for yourself or for others? Q9: Thing you like about your blog and why? Thank you everyone for all your love and support! Without your support, this blog couldn’t reach this far. Have a great week! Enjoy your last week of 2018! Previous Post One Step Close..! 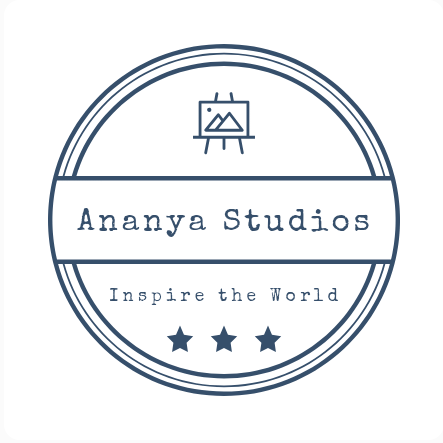 Congratulations Ananya! great answers. Keep going Ananya..You have many many more to come dear..And thanks a lot for nominating me..
Congratulations Ananya! great answers I must say. Thanks a lot for nominating me, its my honour! Like you I also started recently so feels good. Congratulations Ananya.. It was interesting to read all your answers.. Thank you so much for nominating me.. Congratulations.!! and thanks for nominating me..Please find my response to your questions!